What a time to be alive, France against Argentina as early as the second round, what a fixture this is. Both didn’t have it very straightforward as predicted before the start of the tournament in Russia, but France would still stand taller when compared. It’s been long coming for Argentina, they struggled through qualifications and left it till the last day to make it through and even had to make it to the second round on four points having lost one and ended one with a stalemate against Iceland, truth be said, there is nothing worthy of eulogizing about this current Argentina side. France beat Australia on day one, Paul Pogba diverted home a trademark Olivier Giroud flick and beat Peru with a Kylian Mbappe tap in before settling for a goalless draw against Denmark on a day they had nothing much to lose; at this round in 2014, France beat Nigeria to advance to the quarterfinals where they lost to eventual champions Germany. France hardly lose second round fixtures, one stat that Argentina must be wary of, Argentina made it all the way to the finals in Rio before also losing to Germany at the death, do you need to be reminded how Germany ended their story here in Russia? Man for man this would be hard to tell because you don’t know the stuff Argentina will produce, they were piss poor against Croatia and had to labour very hard against a spirited Nigerian side, Marcos Rojo stepped up to grab the winner with four minutes of normal time to play, they were on the brink of crashing out. 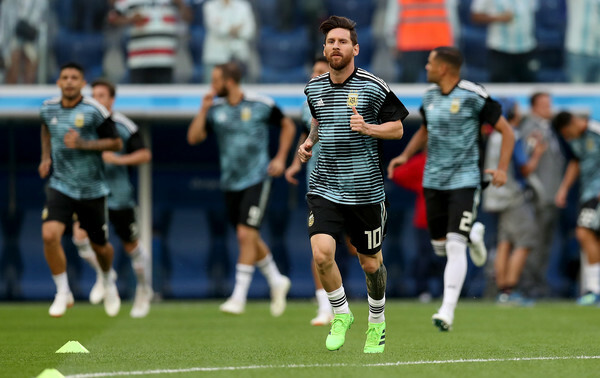 Lionel Messi showed glimpses of his awesome talents in the control and finish for his curtain-raiser against Nigeria but that performance by his standards is very much below par, one of the best ever player to play the game now needs to step up and be counted. France have problems to give to Argentina in every department, from Griezzman who isn’t a stranger to Lionel Messi, to Paul Pogba who knows how to choose his days as well as the teenage sensation Kylian Mbappe, this would be a cracker.